A hammerhead tower crane that was entering the airspace above an abutting residential property in Elwood, Victoria was the subject of a recent matter heard in the Supreme Court of Victoria last month. In Janney v. Steller Works Pty Ltd  VSC 363 (9 June 2017), the Court granted an interlocutory injunction requiring the defendant to cease using, and dismantle, the crane because the developer had incorrectly assumed that it was entitled to erect and use a crane that would necessarily sail over abutting properties. Whether the entry was intentional (i.e. by deliberately swinging the jib or arm of the crane over the neighbouring property) or simply incidental (when not in use, the crane was allowed to rotate freely in the wind – a practice called “weather vaning”) was the subject of a dispute on the facts, and not ultimately determined by the Court. However, the Court quickly concluded that no form of entry was allowed. Crane oversail is, of course, a trespass and is no different to any other unauthorised entry on another’s land. The issue, however, is a common one. The Latin maxim Cuius est solum eius est usque ad coelum et ad inferos (whoever’s is the soil, it is theirs all the way to Heaven and all the way to hell) means a person entitled to possession of land has exclusive rights above ground, and under the surface. The maxim had been used by English judges in a number cases concerned with structures attached to adjoining land – overhanging buildings, signs, telegraph poles and the like and was discussed by Lord Wilberforce in Commissioner for Railways v Valuer-General AC 328. In Bernstein v Skyviews & General Ltd  QB 479, the defendants had flown an aeroplane over the plaintiff’s land in order to take an aerial photograph of it. The plaintiff objected and sued in trespass. Relying on the Latin maxim, Lord Bernstein claimed the right to exclude any entry into airspace above his property. The Court found there to be no trespass. Griffith J found that the right of a person in possession of land to the air space above is limited to “such height as is necessary for the ordinary use and enjoyment of his land and the structures upon it”. In Victoria, land ownership can either be limited in depth or unlimited to the centre of the earth. Crown land grants issued prior to 1891 are unlimited in depth and ownership extends to the centre of the earth. Crown grants issued after 1891 are limited in depth, mainly to 15.24 metres (50 feet) below the surface [see section 339(1) Land Act 1958]. The only defence to a claim for trespass arising out of intentional or negligent entry, is where the entry is expressly authorised by legislation. In this context, entry onto an adjoining piece of land so as to protect the adjoining property from building works being undertaken on the development site can sometimes be authorised under the “protection works” provisions set out in part 7 of the Building Act 1993 (Vic). However, crane oversail can never be “protection works”. Whilst the argument has been raised by ambitious lawyers from time to time, the authorities are quite clear. In developing land, some form of entry onto an adjoining piece of land is often convenient, and sometimes even essential. 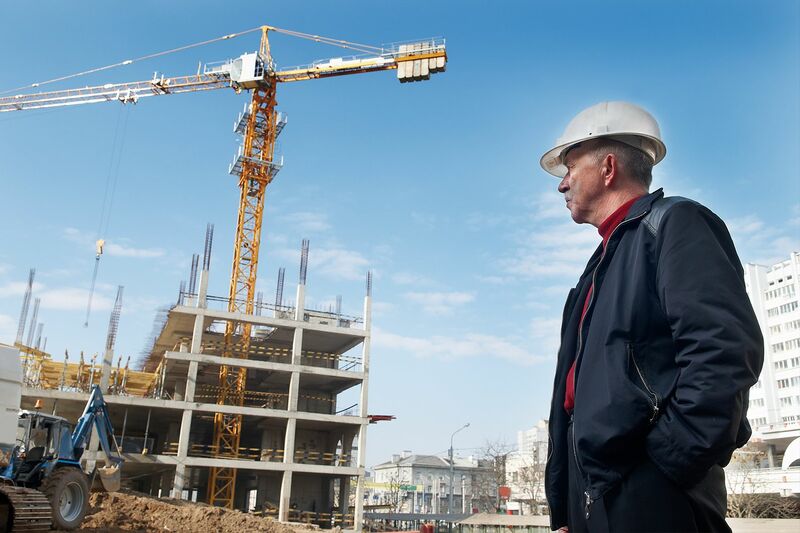 In these cases, it is absolutely critical that the developer tries to reach a commercial arrangement with the neighbouring owner before undertaking works that will constitute a trespass. If agreement cannot be reached, entry is not allowed. Best Hooper Lawyers acted for the successful plaintiffs in Janney v. Steller Works Pty Ltd  VSC 363 (9 June 2017) (Riordan J).